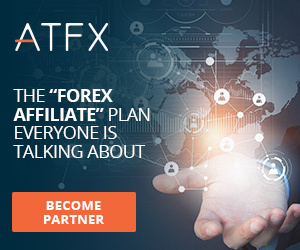 Everything you need to promote ATFX and track performance and commissions. We provide tools inside the Client Portal to generate your own tracking links – you define source and campaign names, we generate a unique encoded tracker for use in text links, with banners, logos or other widgets. The affiliate reporting section provides transparent evidence of each of your unique visitors per tracking link and the status within our sales funnel for all your leads. First, define your campaigns: these will help you differentiate traffic and leads from directories, email blasts, media buys and paid traffic sources. Your campaign can then be selected when you build your tracking links. Next, define your source; a source can be used for one or many campaigns. Setting the source helps you identify which campaigns are working best. As our affiliate program is regulated, it also checks your traffic comes from approved sources. Choose banners and/or logos; filter the results by theme (forex, brand…), size (728×90, 250×250…), language (English +18 others). With the banner chosen, define your plan, campaign, source and landing page for the banner – click on the chosen banner to request the tracking code, which must be embedded on your website. Every unique visit is tracked (Level 0). Easily understand which links are performing .